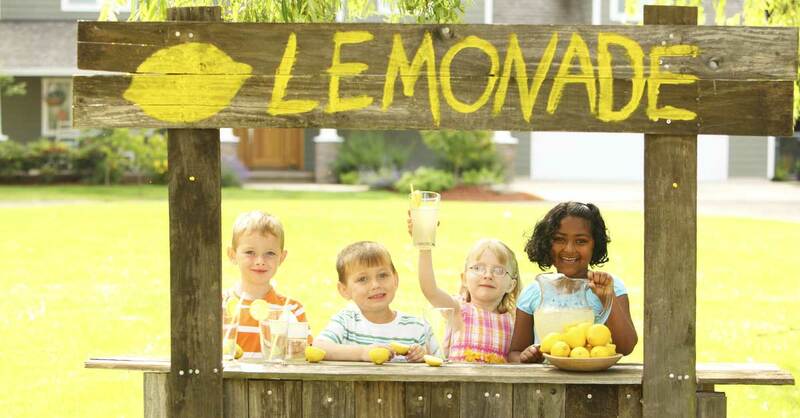 Kids learn some valuable lessons from running a lemonade stand. They discover how to manage their own money and serve customers well—and that’s just the start. 1. Smart spending. Your child is responsible for the money that comes in and goes out. The more ways they find to cut expenses—such as buying lemonade mix in bulk or advertising on social media for free—the more income they keep. After a while, they’ll view all spending through their deal filter. 2. Hard work and accountability. When a child knows the success of the business is totally up to them, it motivates them to work hard to earn more. They also know if any problems arise, the buck stops with them. How awesome is it to have a child with that kind of work ethic and accountability? 3. Meeting people. Your son or daughter must be friendly and outgoing to attract customers. When they ask questions like “How is your day going?” and “Are you excited about your vacation?” customers see the stand as a place to socialize and talk to neighbors. That means repeat business. 4. Responsibility. Your child must stay with the booth instead of running off to play. They must be careful about how they spend money. They must learn how to talk to customers and serve them well. That sense of responsibility will help them grow into a responsible adult. 5. Patience. Like any business, there are busy times and idle times. Remind your child that a slow afternoon behind the lemonade stand may not be their cup of tea, but it’s a great chance to learn patience. That attribute will serve them well when they pursue long-term goals like saving for a car or getting a college education. 6. Time management. Kids have school, homework, chores, hanging out with friends and family, and more on their plate. Running a lemonade stand adds another commitment to their (and your) schedule. This kind of schedule will help your kids learn to budget their time and give the stand its due attention. Learning how to focus on one thing at a time positively impacts many areas of your child’s life. 7. The importance of giving. It’s a good idea for your son or daughter to set aside some of their income to give to their favorite charity, cause or church. It teaches them the power of generosity. Encourage them to find additional ways to give such as offering free lemonade to customers who serve in the military. It’s a good reminder that no matter how successful your child becomes in life, they should always remember to give. If your son or daughter wants to open a stand this summer, let them know it’s a big responsibility that brings big rewards. They won’t just make money; they’ll also pick up good habits and behaviors. Those lessons will help your child make the most of the good times in life and help carry them through the tough times—you know, when life seems to be handing them lemons.